National Citizenship Service swept into school to spread their message inviting all of Year 11 to sign up for an amazing opportunity that could positively impact upon their lives . 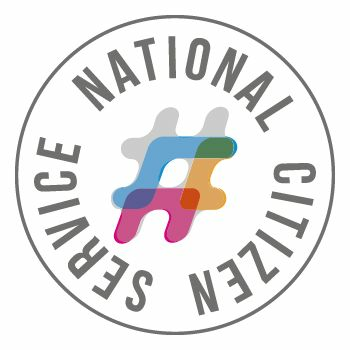 National Citizen Service (NCS) is an experience you really don't want to miss. If you're 15 to 17 years-old, this is your chance to embark on exhilarating challenges, make your mark and build skills for work and life. On phase one, it's time to challenge yourself! Living with your team at an outdoor activity centre, you'll get to know some amazing people and enjoy some quality time away from home. You'll find yourself in a group of 12-15 incredible people you've never met before – people who will change your life and whose lives you'll change. In your team, you'll get the chance to take on some adrenaline-fuelled challenges like rock climbing, canoeing, hiking and archery. Even if you're the biggest scaredy-cat, you'll be a rock climbing, zip wiring, canoe-conquering machine in no time! Now's your chance to discover something new! You'll be reunited with your group in a uni-style environment where you’ll develop life skills like confidence, leadership and communication to boost your CV or UCAS personal statement. You could find yourself meeting organisations and important people from your local community. Even better – you might discover something new about yourself. Maybe you've got a hidden (or not so hidden) passion for photography, editing, football coaching or even how to set up your own business! It's time to make your mark! This is where your NCS experience all comes together. All the fun and inspiration from the first two phase’s means you're ready to step up and deliver your very own social action project. Plan; fundraise; make a difference! You and your team have the power to change the world around you. Whether you're a thinker or a doer, this is your chance to make a difference, have some amazing stories to tell, and be part of something you'll never forget! This is a fantastic experience and we urge as many students as possible to SIGN UP !